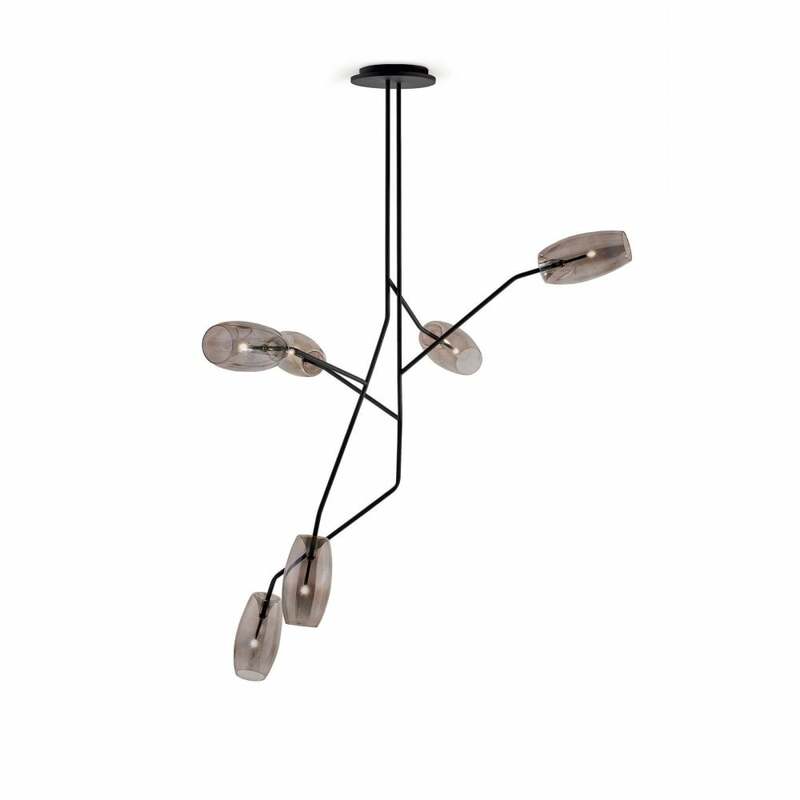 The simple elegance of the Gallotti & Radice Diantha Chandelier makes this a popular choice for discerning commercial interior designers and home interior stylists alike. The natural shaped mouth blown, painted glass shades are beautifully framed by the structured bronzed black metal fittings to create an understated, stylish designer light fitting. Compliment a bold industrial interior scheme with exposed brickwork or style using the Diantha Chandelier as part of a modern Scandi interior theme with softer pastels, textured rugs and handknitted throws.